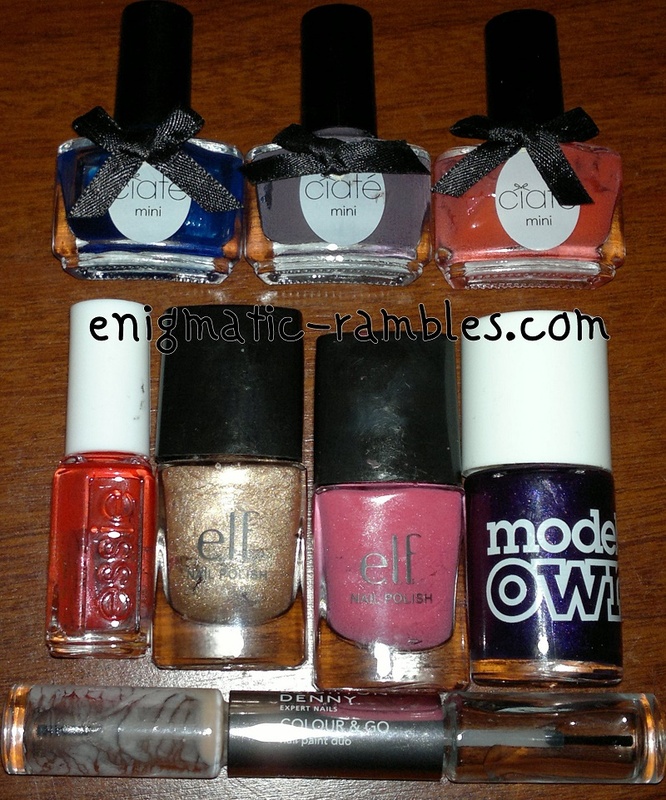 Another month is over and I again seem to have gone through 9 bottles of polish! I thought 8 was a lot from last month. 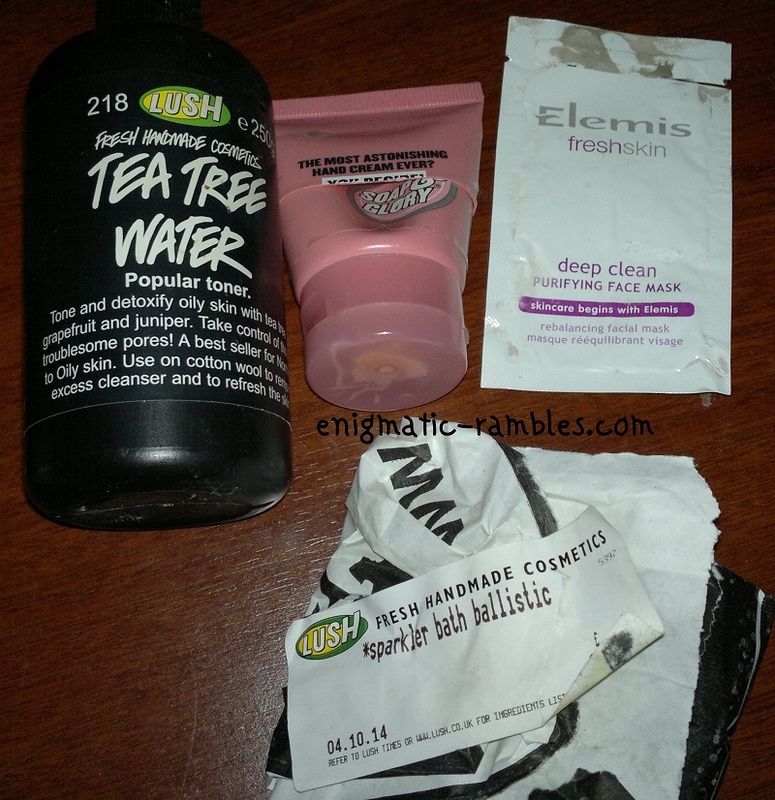 Lush - Tea Tree Water - Toner - I like using this, its good for oily skin. Soap and Glory - Hand Food - This is nice, smells good and doesn't leave my hands sticky or oily [review here]. Elemis - FreshSkin - Deep Clean Purifying Face Mask - Not something I would repurchase as it comes in a duo with a moisturising mask [review here]. Raspberry Body Spray - Not sure where this came from, I'm more of a stick antiperspirant / perfume person than a body spray one. 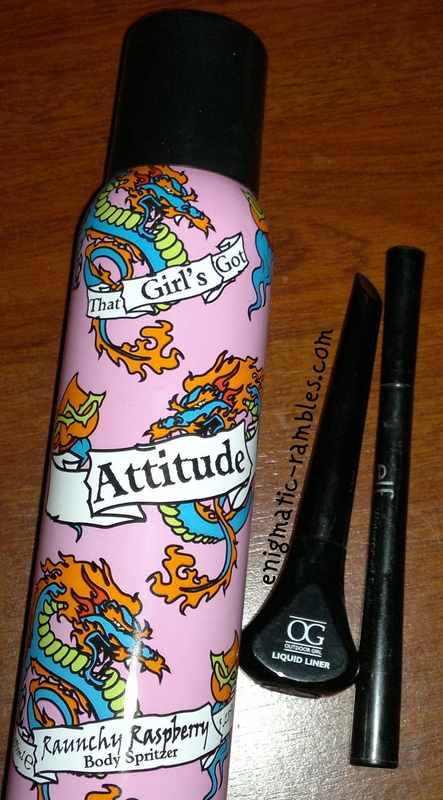 Outdoor Girl - Liquid Liner - I liked this while it worked, it has a nib type end. ELF - Waterproof Eyeliner Black - These are okay but they dry out really fast.